Fermanagh and Omagn District Council wanted to encourage people living in Dublin to visit Northern Ireland’s Fermanagh Lakelands and see their wonderful waterways and stunning landscape, as well as visiting their fascinating landmarks and exciting activities. In addition to this, nestled in the heart of Co Tyrone, on the footsteps of the region’s famed Sperrin Mountains and Gortin Lakes, offers the bustling market town of Omagn, which is renowned for its rich history and heritage. From the budget we were provided, we recommended the use of Metropole sites positioned in handpicked prime locations on the main traffic arteries in and out of Dublin City Centre. The 8m² Metropoles are backlit and illuminated, providing unbeatable audience delivery. In addition to the Metropoles, illuminated Adshel panels (6 sheet size) were all positioned all the way along the East Link Toll Bridge, creating a dynamic visual presence to motorists and cyclists along the major route in and out of Dublin City and the Airport. 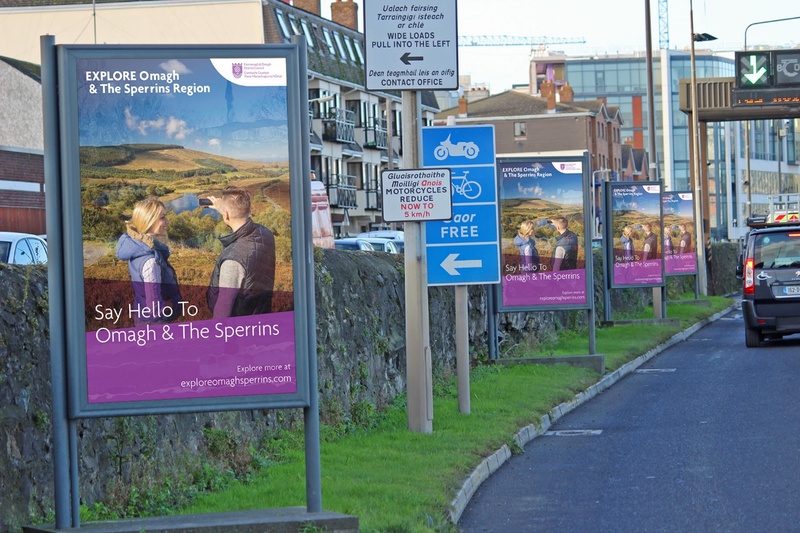 These would be seen by visitors flying into Dublin airport, but also people living in the Dublin area. By targeting the Dublin community, the clear message was to encourage people to visit the two regions in Northern Island. The campaign was well-executed on the limited budget provided. The use of 2 creatives were used, to showcase the stunning sceneries that both regions had to offer. 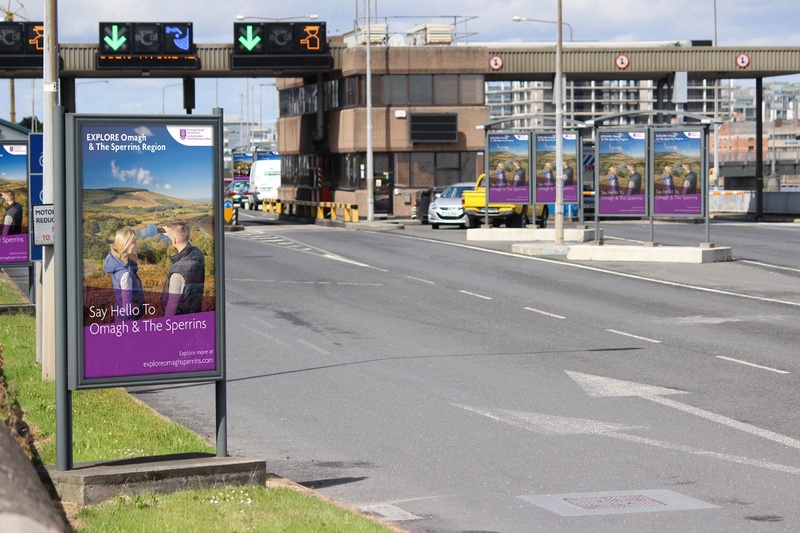 Creating hugely impactful and unmissable attention to everyone in Dublin City Centre and Airport.